Protecting conservation or commercial interests? The highly invasive raccoon dog has been nominated for inclusion on the list of Invasive Alien Species of Union Concern, yet cynical moves are afoot to thwart this conservation measure, warn Ilaria Di Silvestre, Staci McLennan and Joanna Swabe. Ilaria Di Silvestre is programme leader at Eurogroup for Animals; Staci McLennan is senior project lead of wildlife crime at the International Fund for Animal Welfare; and Dr Joanna Swabe is executive director of Humane Society International/Europe. When the EU Regulation on Invasive Alien Species entered into force in January 2015, it created an important new instrument to more effectively tackle the environmental and economic problems caused by animals, plants, fungi and micro-organisms that have been introduced outside their natural range and whose introduction or spread has been found to threaten or adversely impact biodiversity. The premise is simple. Any species added to a list of Invasive Alien Species of Union Concern is prohibited from being imported, sold, kept, transported, bred or released. Member states must collectively decide whether each species proposed for listing meets the criteria for inclusion, working on the basis of risk assessments of their invasiveness and ability to establish themselves in several countries. After considerable and difficult debate, the first list was adopted in July 2016. It comprised a mere 37 species; a drop in the ocean when one considers that currently more than 12,000 non-native species are found in Europe, of which around 10-15% of alien species arriving in Europe eventually become invasive, costing the European economy at least €12 billion per year. Some of these species will have arrived by accident, but others have been deliberately introduced to Europe to be kept as exotic pets or for the production of fur. The raccoon dog (Nyctereutes procyonoides) is a particularly good case in point. This canid, which is indigenous to East Asia and, despite its name, bears no relation to the raccoon, is exploited by the fur industry. Each year, hundreds of thousands of these animals are forced to lead miserable short lives in wire cages, primarily in Finland and Poland, before being skinned for their luxurious pelts. Raccoon dogs are also marketed – completely inappropriately – as exotic pets. Throughout many member states, wild populations of raccoon dogs are now abundant, most being escapees, or their descendants, from the fur trade, deliberate release or pet abandonment. Given the threat that the species poses to biodiversity, the raccoon dog has quite rightly been nominated for inclusion in the list, which is currently undergoing its first update. However, despite there being a robust risk assessment for the species, it seems that there are cynical moves afoot by certain member states to try to remove the raccoon dog from the latest list. Pressure to do so has undoubtedly come from the fur industry who feels that this conservation measure is threatening their commercial interests. However, the Regulation already includes a permitting system that allows existing commercial activities, such as fur farms, involving invasive alien species to continue to operate under a strict system of authorisation. This provision, which effectively weakens the legislation, was introduced following heavy lobbying by the fur industry during the legislative process. It would be outrageous if a highly invasive species, such as the raccoon dog, was not included on the list when measures are already in place to protect the commercial interests of the fur industry. They cannot have their cake and eat it too. 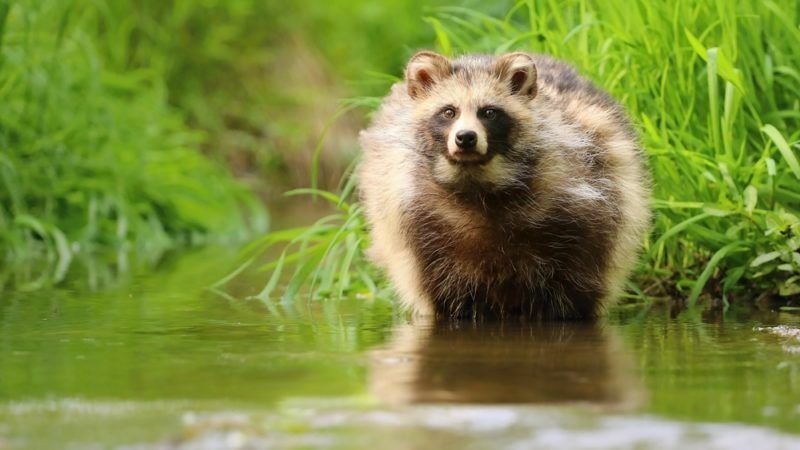 Failure to list the raccoon dog would not only make a mockery out of the legislation but would also be exceptionally short-sighted, leading to greater animal welfare problems and increased threats to biodiversity in the long run. Moreover, it would set a dangerous precedent and weaken the EU Regulation even further. If member states fail to list the raccoon dog, what then for other highly invasive alien species, such as the American mink, which wreak havoc in European ecosystems and cause massive biodiversity loss? The Commission and member states should continue to expand the list and base all their decision-making on sound science in order to include even more problematic species that have already become invasive, as well as species that have not yet become established in the EU, but which could pose a serious risk to biodiversity if the trade therein continues. Finally, as an aside, it is also vital for clear guidelines to be developed for EU countries with regard to the management of invasive alien species on the list, placing emphasis on humane control methods, to avoid or minimise pain, suffering and distress as explicitly requested by the Regulation.